Each Cisco WebEx product is part of an interoperable ecosystem of solutions for working together remotely. While most can be purchased and used alone, WebEx products can be combined and customised to your needs. You may simply need small online meetings with video conferencing and screen sharing. But you can add specialised functionality for webinars, training or remote technical support. You may need global online meetings with integrated audio that can be joined via telepresence and multiple video systems. Or you might want personal video meeting rooms. Cisco WebEx products are all that. WebEx products can be used from most devices and platforms. Mobility, ease of use and compatibility are top priorities for Cisco WebEx product developers. WebEx pioneered online meetings, and now, backed by Cisco performance and reliability, we're still out front, pushing boundaries. We're making it easier every day to click, tap or swipe to get things done. Read more about Cisco WebEx. Why are WebEx products my best choice for online collaboration? Our online meeting products give you an incredible array of features. They’re all standard with any paid subscription, including video conferencing with full screen, multiple feed or side-by-side with screen sharing viewing modes. You can switch presenters, share what’s on your desktop or an application, annotate documents together, sketch ideas on a virtual whiteboard, record meetings and organise or join meetings from your smartphone or tablet. And those are just the highlights of online meeting features. We also have best-in-class WebEx solutions for events, webinars, training and remote support. Instead of learning multiple products from different vendors, you can work with one vendor for all of your collaboration needs. WebEx collaboration products are easy to use. We help you conference, collaborate and present online more productively without technology hassles getting in the way. How secure are WebEx products? Security is a big concern for every company, and stringent security is one of the great strengths of all WebEx products. That's important when you’re representing yourself and your business to others, and sharing valuable content online. All of your WebEx, events, training and remote support products are protected by a highly reliable and secure network. The Cisco WebEx Cloud is a global, enterprise-scale network designed specifically for highly secure delivery of on-demand applications. It offers a scalable architecture, consistent availability and multilayer tenant security validated by rigorous independent audits, including SSAE-16 and ISO 27001. The Cisco WebEx Cloud is certified by the Skyhigh CloudTrustTM Programme, the most extensive, impartial evaluation of cloud security and enterprise-readiness available. I’m interested in video conferencing. Is WebEx a video conferencing solution? Absolutely. In fact we are the industry leader in video conferencing. We give you a lot of different ways to use video conferencing, so you can pick the video mode that works best for any given meeting. For example, in an online meeting the video feed of the person who is speaking is automatically displayed in an Active Speaker window. You can still see up to six other video feeds of participants, while still sharing and annotating documents. There's also a full screen option for a presenter, with extremely sharp (H.264) video quality. And because of the performance of the Cisco WebEx Cloud, there's no annoying synchronisation problem with audio and video. Your meetings have that 'live and in person' feeling that helps get ideas across and cement relationships. Every paid WebEx account comes with 24x7 technical support, including WebEx Premium plans, WebEx Meeting Center, WebEx Event Center, WebEx Training Center and WebEx Support Center. How large is the Cisco WebEx network? 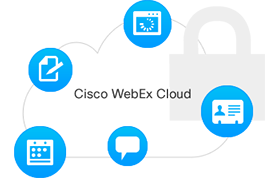 The Cisco WebEx Collaboration Cloud (WebEx Cloud) is the second largest business Software as a Service (SaaS) operation in the world. We have multiple worldwide data centres located at strategic Internet access points. We support nearly three billion meeting minutes between 52 million participants per month globally. Learn more about Cisco WebEx. What’s the smallest and largest online meeting or event I can hold with WebEx? Whether you want to invite a small number of people or hold an event for thousands, there's a WebEx product to support you. No online conferencing solution is more scalable or proven. Every WebEx product is built on Cisco technology, the same technology that supports the Internet. 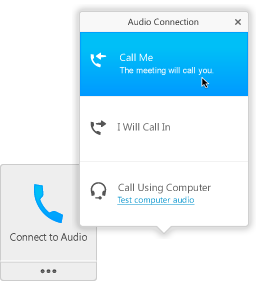 All WebEx products are compatible with PCs, Macs and Linux. You can also learn more about our award-winning WebEx mobile apps for Android, iPad and iPhone, Blackberry and Windows Phone 8. How do I get training for employees for WebEx products? For WebEx Meeting Center, WebEx Event Center, WebEx Training Center and WebEx Support Center. WebEx University provides self-service training, mastery programmes and training customised to meet the needs of your business. Both WebEx and WebEx Meeting Center support multiple languages. For the most recent information on language support, please refer to the product data sheets. For language support for other WebEx products, including WebEx Event Center, WebEx Training Center and WebEx Support Center, call +91 1800 102 8026 or +91 80 4250 1939 any time. What business advantages will I get by activating Collaboration Meeting Rooms (CMR) Cloud on my WebEx Meeting Center plan? The CMR Cloud service dramatically simplifies setting up and joining video conferencing meetings. It also makes compatibility concerns (can my device talk to your device?) a non-issue. You get personal video conferencing rooms. Each room has an identifier (called a URI) that's as unique as your phone number. Meeting instantly or scheduling a meeting is as easy as giving out your personal ID (no tedious setup time). Your room is always available for meetings, but you can also lock your room (when you don't want to be disturbed, or you're already in a meeting or to keep people from wandering into the wrong meeting). You can use whatever systems and devices you have today — no special equipment required. Behind the scenes in the cloud, we handle compatibility between standard video systems (using a technology called bridging). No one has to think about where they're located or what device they're using to join a meeting. The CMR Cloud is a service option on your Cisco WebEx Meeting Center plan, which you can activate by contacting a WebEx Sales Specialist at +91 1800 102 8026 or +91 80 4250 1939. Or tell us what you're looking for, and we'll give you a call within one business day. What’s new in WebEx Meeting Center? Can WebEx Meeting Center integrate with my other IT investments? We’d like to use online meetings for presentations and brainstorming sessions. Can I use video conferencing in multiple modes? Yes, and you can pick the video mode that works best for any given meeting. And hosts can change modes on the fly while in a meeting. Can I offer toll-free meeting attendance when I invite customers to a meeting? Offering a toll-free option is great customer service. Not only does this give your guests toll-free meeting attendance, but with a Call Me plan WebEx will actually call them when the meeting is about to start — no dial-in numbers or passcodes to remember. Mobile users will love Call Me, because they don’t have to type long strings of numbers on tiny screens. International attendees can store their phone number on WebEx Meeting Center. The meeting will call them when it’s time to join. Can I record and share a WebEx meeting? The meeting host (organiser) can record a meeting. The recording is available almost immediately as a simple link (no bulky video files to try to send via email!) to the recording. Stakeholders can then watch the whole meeting at their leisure, including any content that was shared during the meeting and Active Speaker video feeds. Recording a meeting is also a great tool for documenting critical meetings. What is the Desktop Integration Suite for WebEx Meeting Center? Yes, and you’ll love the convenience! You can schedule or launch meetings from Microsoft Office, Microsoft Outlook, Lotus Notes and a variety of instant messaging products. If you are a host, you can start an instant meeting, or schedule future and even recurring meetings from Microsoft Outlook. There’s even a scheduling assistant to check calendars in Microsoft Outlook before sending an invitation. When you accept a meeting invitation, it automatically appears in your calendar. What’s the limit on the number of meetings I can have each month? You have all the time in the world with WebEx Meeting Center. Like many companies, you will probably find a growing online meetings culture, where people prefer to use WebEx Meeting Center because it’s fast, easy and incredibly productive. People on the road can participate in a meeting with their mobile devices. Meeting hosts can record meetings for people who can’t attend. You can have one meeting or a hundred. Meet for a few minutes or a few hours. What can attendees 'share' during a meeting? Sharing is one of the ways in which online conferencing is even more effective than in-person meetings! Just pass the presenter ball back and forth, and anyone can share a document (any format), desktop or an online whiteboard. Mark up anything you share with sketch tools. Plus, you can use application sharing, a privacy option that participants will appreciate. How do I know if my browser is compatible with WebEx Meeting Center? Easy. Try this 'Join a test meeting' link. Can I take advantage of Single sign-on for employees who use WebEx Meeting Center? Yes, administrators can set up single sign-on (SSO) for WebEx Meeting Center. SSO is also supported in the WebEx Meeting Center mobile apps for iPad and iPhone, Android, Blackberry and Windows Phone 8. How easy is it to use WebEx Event Center for a webinar series or hold a large online event? Very easy. First, WebEx Event Center is delivered over the Cisco WebEx Cloud, so there's no software or hardware to install. WebEx Event Center not only makes webinars and events more engaging, it has tools for generating invitations, automating the registration process, tracking leads and generating management reports to evaluate the success of your event. Call a WebEx specialist at +91 1800 102 8026 or +91 80 4250 1939 to review your marketing and sales needs. Or tell us what you're looking for, and we'll give you a call within one business day. What kind of lead generation or lead qualification tools are included? Lead management is as important as the event itself. WebEx Event Center has multiple ways to help you capture, track and optimise leads. You can use automatic lead scoring and lead source tracking. You can also export survey and registration information to your customer relationship management and marketing automation databases. What kinds of things can I customise in WebEx Event Center? You can customise all of your customer-facing communications: invitations, confirmations, reminders and follow-up emails. Do you offer support for organising webinars or online events? Yes, we have resources available to help you before, during and after the event. You can engage a WebEx expert team for planning, coaching, producing, set-up and technical support with our optional Collaboration Service for WebEx Event Center. Call a WebEx specialist at +91 1800 102 8026 or +91 80 4250 1939 to discuss your event support needs. Or tell us what you're looking for, and we'll give you a call within one business day. How do I use polling? Is it the same as a survey? Surveys are definitely useful for evaluating a webinar or online event after it’s over. But polling actually lets meeting organisers and presenters adapt what they’re saying or sharing based on real-time feedback from attendees. What languages does WebEx Event Center support? Brazilian Portuguese, Chinese (simplified and traditional), Danish, Dutch, English, French, German, Italian, Japanese, Korean, Russian, Spanish (European and Latin American) and Turkish. What are the advantages of using a specialised product like WebEx Training Center for my training programmes? WebEx Training Center is specifically designed to help make your educational programmes more effective. Instructors will appreciate all of the tools they have at their disposal to make all types of training more interesting. Just a short list a features includes: real-time polling, virtual breakout rooms, hands-on labs, quizzes, threaded Q&As and attention monitoring tools. If you're already using WebEx, the familiar look and feel will make training that much more productive for instructors and participants. How does a trainer use a virtual breakout room? Your trainers will love experimenting with virtual breakout rooms. They can use virtual breakout rooms to create more personalised training for smaller groups, and turn lectures into brainstorming or practice sessions. If students seem to be struggling with information, instructors can create 'drop into' breakout sessions on the fly. Call a WebEx specialist at +91 1800 102 8026 or +91 80 4250 1939 to review your training needs. Or tell us what you're looking for, and we'll give you a call within one business day. Can I integrate WebEx Training Center with learning management systems? WebEx Training Center is designed to fit into your existing training environment. You can integrate WebEx Training Center with the leading learning management systems. The test engine is also compliant with Shareable Content Object Reference Model (SCORM) standards. Does WebEx Training Center include a testing capability? Testing is one of the most important ways to assess student progress and instructor effectiveness. Instructors can test students before, during or after training sessions. WebEx Training Center has automated grading and reporting (and is compliant with the Shareable Content Object Reference Model). But WebEx Training Center doesn’t depend on testing alone to help instructors evaluate students: trainers can also use tools like polling (with instant tabulation) and visual attention indicators. Can you offer assistance with setting up or improving our training programme? Whether you're just getting started, or want to optimise your programme using features you've never tried before, you can take advantage of our WebEx Training Center Assist Services. You'll have the support of an experienced, certified producer. We can share WebEx best practices for online training, provide coaching and practice runs for presenters and help you use tools (like polling) more effectively. We can help you with technical assistance before, during and after a training session. We can give you as much support as you need, with standard, premium and a la carte services. To find out more about WebEx Training Center Assist Services, call a WebEx specialist at +91 1800 102 8026 or +91 80 4250 1939. Or tell us what you're looking for, and we'll give you a call within one business day. What languages does WebEx Training Center support? Chinese (Simplified and Traditional), Danish, Dutch, English, French, German, Italian, Japanese, Portuguese (Brazilian), Russian, Spanish (Latin American and European) and Turkish on the Microsoft Windows platform. The Mac in-meeting experience is available only in English. How does WebEx Support Center personalise support? Put a face to your support team with full-screen video. Invite experts to join the call to resolve issues faster. Localise screens with multiple language support. Integrate WebEx Support Center with your Customer Relationship Management system to allow reps to personalise every call. Call a WebEx specialist at +91 1800 102 8026 or +91 80 4250 1939 to review your support requirements. Or tell us what you're looking for, and we'll give you a call within one business day. What level of security do you have on WebEx Support Center? All of your support sessions are conducted over the secure Cisco WebEx Cloud, which offers stringent data privacy and encrypted connections with tight policy control. Can I show customers their wait times? How can I reduce wait times? Yes, you can show them the estimated wait time, and give them the option of requesting a call back. One way to reduce wait times is to use multi-session support, so agents can work with more than one customer at a time using a screen with tabs to separate customer discussions. Agents can also see each other’s queues and availability. Can my support representative view a customer’s desktop or applications? You can view and control a customer’s desktop or applications, and allow them to view or control your desktop (which is helpful for a quick demonstration or training). You can also save a library of frequently used scripts that agents can run for easy patches and updates. What kind of management tools are part of WebEx Support Center? Managers have several tools at their disposal to manage, monitor and analyse call handling and agent effectiveness. These tools include a queue manager, a dashboard for monitoring sessions and agent activity, the ability to record sessions (manually or automatically) and the ability to generate management reports. What kind of management reports can I get with WebEx Support Center? You can measure help desk and support statistics, including the number of sessions, session duration and feedback from customers. Can I use WebEx Support Center to troubleshoot remote desktops or point-of-sale systems? You can easily expand from helping people troubleshoot problems to troubleshooting the problems yourself. With the optional WebEx Support Center Remote Access service, your help desk staff can view and control any attended or unattended remote device. Use WebEx Support Center Remote Access to support users during upgrades and reduce unnecessary service calls. What languages does WebEx Support Center support? Which mobile devices do you support for your products? WebEx is supported by the following mobile devices: iPhone, iPad, Android, Windows Phone 8, Blackberry and any 3G, 4G or Wi-Fi-enabled device. Visit our WebEx mobile apps page to learn more. If you have questions about current and planned mobile support for other WebEx products, please call a WebEx specialist any time. How do I download the WebEx mobile app? It’s easy to download the WebEx mobile app for the device of your choice. Visit our mobile apps page to find your platform and download. Are all WebEx mobile apps free downloads? Yes. There is no charge for WebEx mobile apps for any platform. What are the system requirements for the WebEx mobile app for iPhone and iPad? The WebEx mobile app runs on Apple iOS 6.0 and above. Learn more about using WebEx on your iPhone or iPad. What are the system requirements for the WebEx mobile app for Android devices? The WebEx mobile app for Android runs on Android OS 2.1 (and later) smartphones and OS 3.0 (and later) tablets. The device must also have a Medium (320x240) resolution screen or higher. Learn More. What are the system requirements for the WebEx mobile app for Windows Phone 8? All devices running OS Windows Phone 8.0 are supported. Video is only enabled for devices with 1GB of memory and above. Learn More. What are the system requirements for the WebEx mobile app for Blackberry? The Blackberry devices supported are: Curve 8520, 9300, 9330; Bold 9650, 9700, 9780, 9900/9930; Storm 9520, 9550; Tour 9630; and Torch 9800, 9850, 9810, 9860. Learn More.